On March 6, 2017, the second Morton L. Mandel Award for Outstanding Chemistry Faculty was presented to Professor John Protasiewicz of Case Western Reserve University. 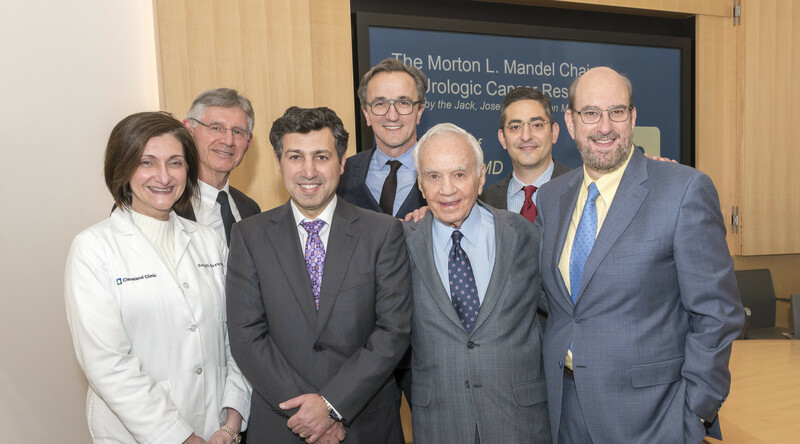 The award was named last year in honor of Morton L. Mandel, Chairman and CEO of the Jack, Joseph and Morton Mandel Foundation, and reflects his long-held belief in the importance of exceptional individuals to an organizations’ success. A professor and associate department chair, Protasiewicz launched an initiative six years ago where younger faculty come together to assist one another on grant applications well in advance of any looming due dates. The goal is to create a welcoming environment of peers and ultimately enhance funding success rates. He dubbed the effort the “Green Team.” The name was designed to draw a contrast to the far more common “red teams,” where academic departments form teams of distinguished senior faculty to deliver critiques often only a week or days prior to submission deadlines. Through his research laboratory, Protasiewicz also mentors students ranging from high school to the post-doctorate level, some going on to research and faculty positions at highly ranked colleges and universities.